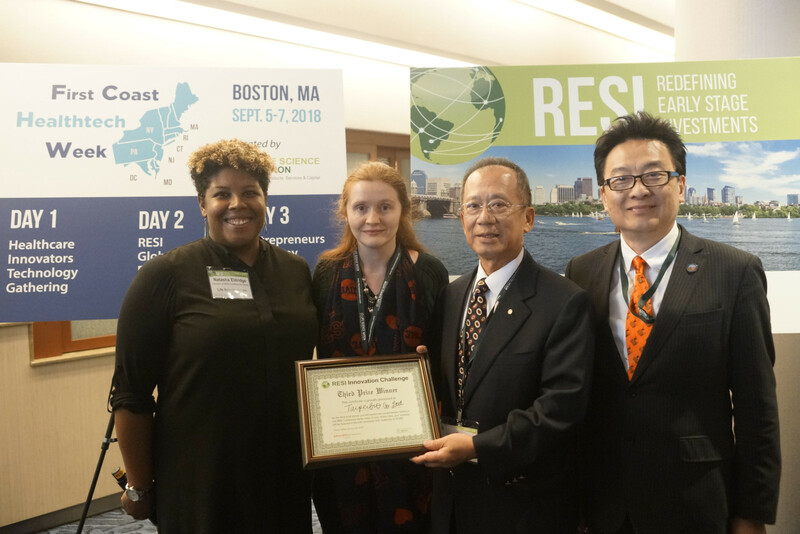 On June 4th, more than 700 scientist-entrepreneurs and investors entered the exhibition hall at Boston Marriott Copley Place to participate in the RESI conference. They were greeted by 30 Innovation Challenge finalists across therapeutics, medical device, diagnostics, and digital health sectors. The 30 companies, evaluated by LSN’s expert system and scientific & commercial review team, competed directly on merits of innovation and commercial viability. We wish all our finalists the best in bringing their products forward toward commercialization, but there could only be 3 top prize winners. First Prize: Taiwan Resonant Waves Research Corp.
Taiwan Resonant Waves Research Corp. (TRWR) was founded in 2010 in the capital of Taiwan – Taipei. Integrating innovative bioelectronic technology with non-invasive medical devices, we are dedicated to helping patients with chronic diseases better manage health-related challenges.There is unlimited promise in the application of Bioelectrical medicine in the treatment of chronic diseases. Designed and developed by TRWR, Microcurrent Electrical Nerve Stimulation technology (MENS) is currently being used as a non-invasive, physical approach to treating and alleviating symptoms associated with diabetes (such as decreasing HbA1c of Type 2 Diabetes Mellitus patient). Our vision is to lead the world in groundbreaking research and development in electroceutical technology as a means of enhancing quality of life, without the adverse side effects of conventional approaches. Our laser-based sensor is many times more accurate than conventional laser and is able to detect even low concentrations of bacteria based on its movements in real-time. Even though our first application targets water, we have managed to decrease antibiotics susceptibility test from 10-15 hours to less than 1 hour. Taipeibio is an R&D-driven company with core technology derived from Harvard and MIT; which focuses on tissue regeneration and repairs various bone defects including alveolar bone, bone, joint, ligament and cartilage. Taipeibio has comprehensive global IP protection in over 45 countries (Fish & Richardson; Cesari & McKenna). Taipeibio has established 3 core labs and 5 research arms to support product development with 2 governmental funding programs . Taipeibio has accumulated over 160 successful clinical cases with 14 years stress-bearing data to prove safety and efficacy. The cartilage regeneration product has been proved to repair large articular cartilages and difficult TMJ defects in a rabbit model. Relative scientific reports were published in high-impact SCI journals. The products will be made in U.S.A. and aiming FDA approval. It is worth mentioning that the proportion of Asia-based startups at RESI is the highest it’s ever been. LSN worked closely with both Development Center of Biotechnology (DCB) from Taiwan and Korea Trade-Investment Promotion Agency (KOTRA). 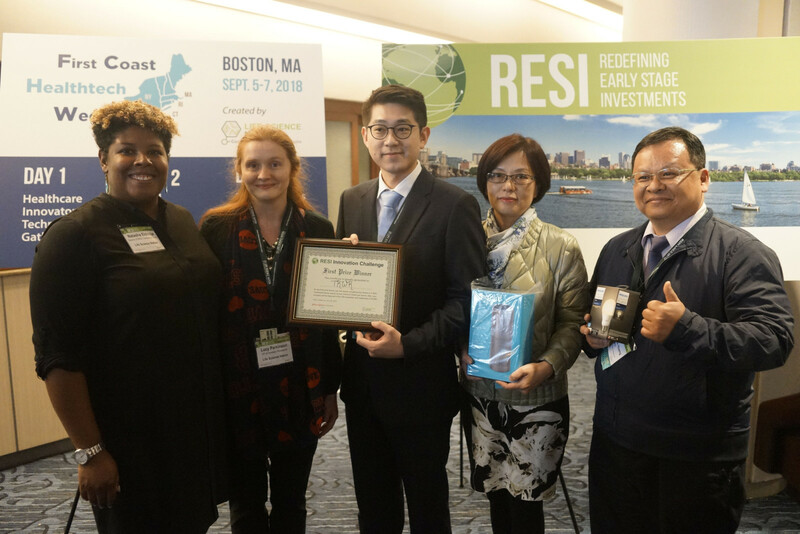 Of the over 100 startups that applied to be finalists in the RESI Innovation Challenge, more than 30% were from Taiwan or Korea. This is also the first time that Asia-based companies won all three top prizes. The first and third place winners were two Medtech companies from Taiwan, Taiwan Resonant Waves Research Corp and TaipeiBio respectively. The second place winner was THE WAVE TALK, one of the Korea-based companies sponsored by KOTRA. 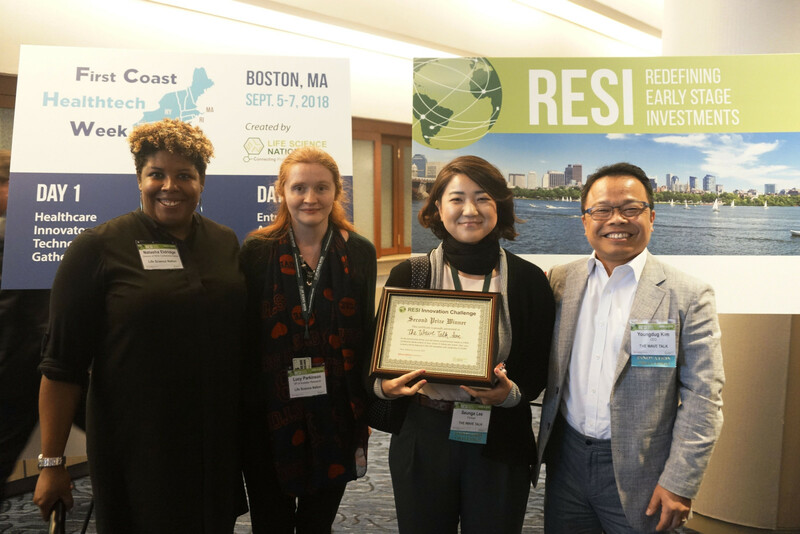 Check out how RESI collaborates with KOTRA. 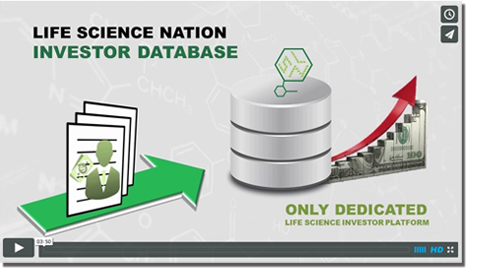 Life Science Nation (LSN) just revamped its LinkedIn profile in an effort to help life science startups engage with potential investors! With the growing impact of social media, we aim to create another avenue to build connections with early-stage life science players and offer content relevant to our growing community. On the primary LSN profile, we will post the hottest investor mandates from our LSN Database, latest news about the life science industry, and updates on the Redefining Early Stage Investment (RESI) conference series. LSN has also created a separate RESI Conference group on LinkedIn to help past and new attendees stay connected with one another. Through this channel, members can promote their companies, announce updates on the development of their technologies, build relationships with other like-minded members, and collectively move the needle in the life sciences. We hope you will connect with us and help us build a startup community that can make an impact on the life science industry! Please click here to explore and follow our page.